Clients need to have received a voucher from a local care agency or Voucher Distributor, which can be redeemed for three days of food from any of the local Distribution Centres. The Foodbank gives 3 days of emergency food to individuals and families in crisis. Local care professionals in the Norwich area refer people to us using a food voucher. At the Foodbank centre clients exchange their voucher for food supplies, here they also receive a give a cup of coffee, a listening ear and signposting to other professionals who can help them out of their crisis. 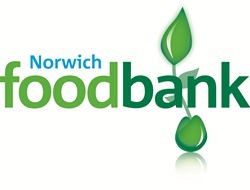 Norwich Foodbank is part of the Trussell Trust.